Framed collection of carte-de-visite memorial cards depicting the life and death of President Lincoln. In the top half, the American eagle is surrounded by two portraits of President Lincoln. The bottom center card shows the apotheosis of Lincoln, with George Washington welcoming Lincoln into heaven with a laurel wreath. On the left is a photo of Lincoln's family. 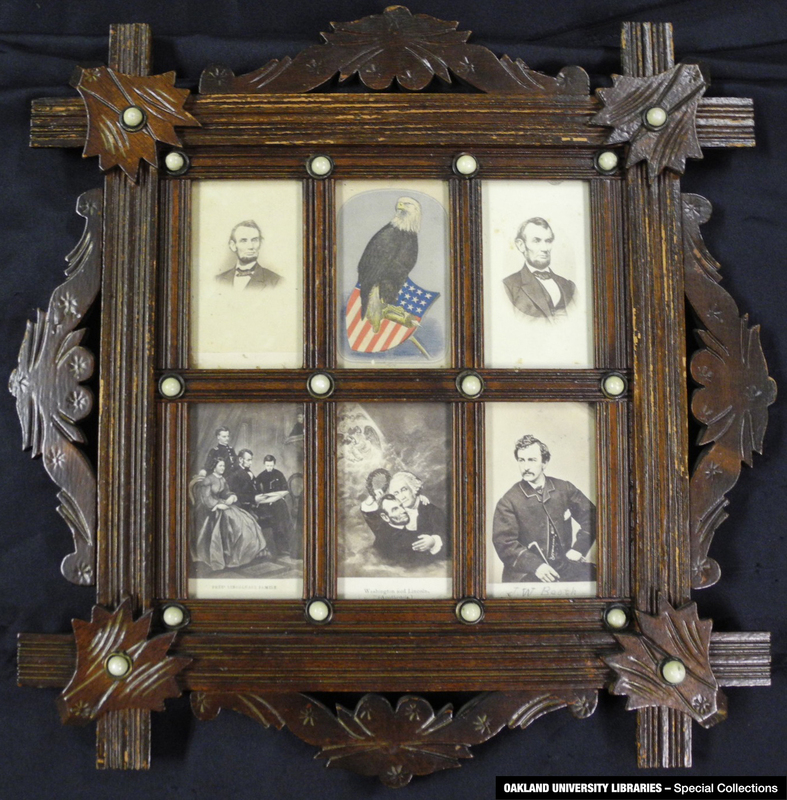 The bottom right card is a photo of Lincoln's assassin, John Wilkes Booth, by photographer Alexander Gardner.The carte-de-visite are presented in a decorative wooden frame with ivory inlays.